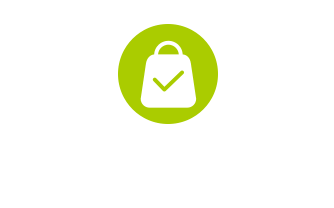 Foster + Partners (F+P) is a world famous architectural design company whose work include the Apple Campus 2 and The Hongkong and Shanghai Banking Corporation Limited buildings. 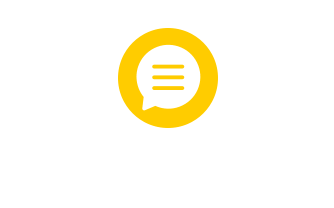 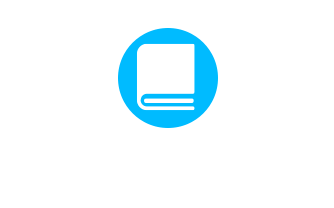 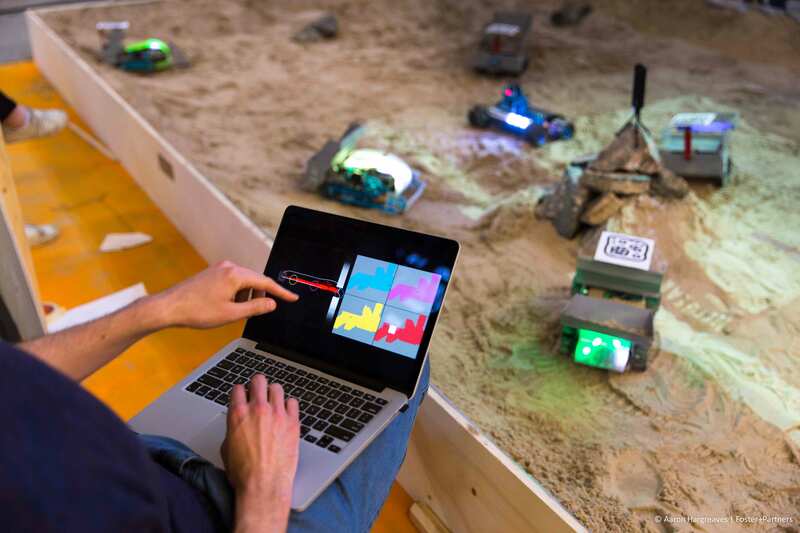 As an outstanding and cutting-edge architectural research and practice firm, F+P is enthusiastic about participating in geometry, technology, architecture-related research projects. 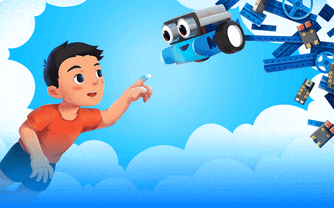 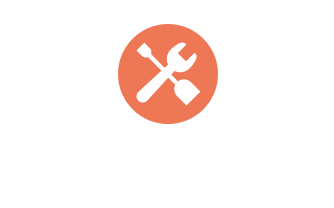 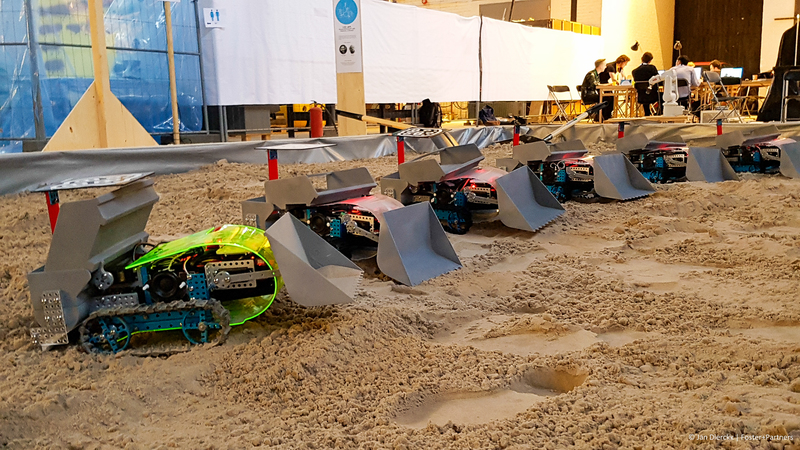 With space-related construction projects being one of their recent focus, F+P has participated in a variety of space-themed design challenges held by NASA, ESA (European Space Agency) numerous times, including projects for establishing a future base on Mars. 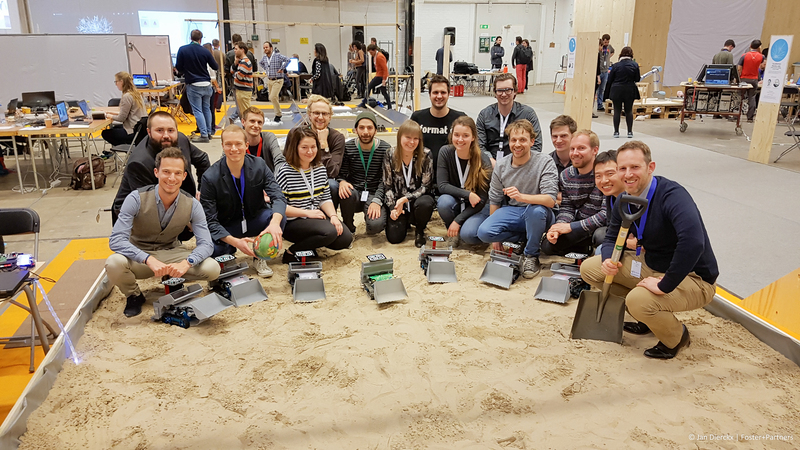 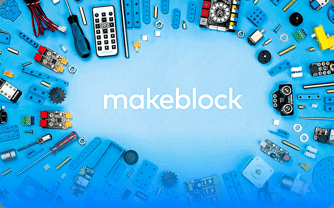 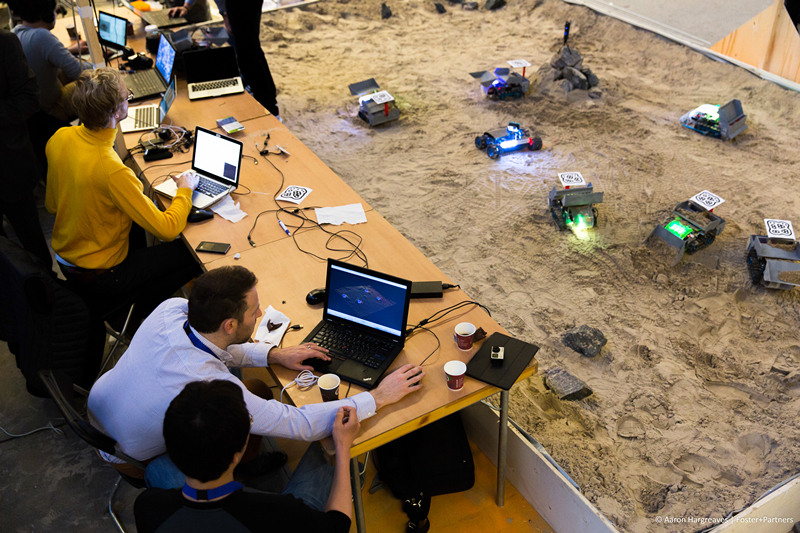 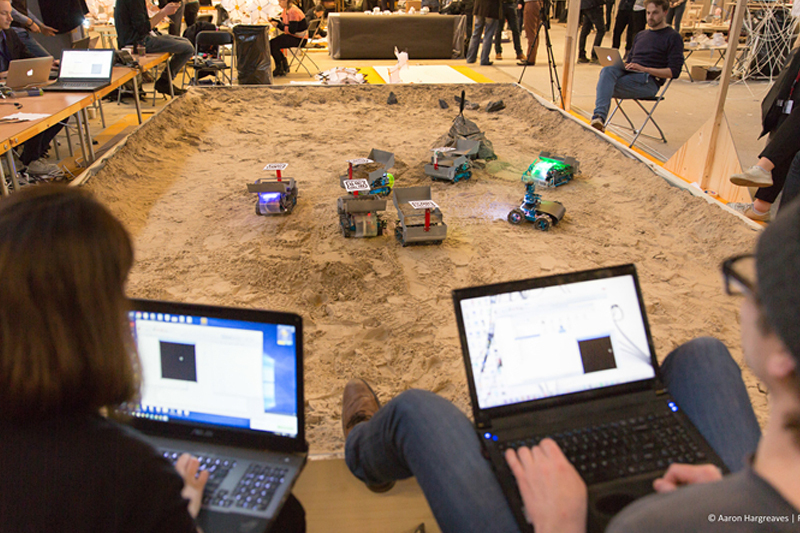 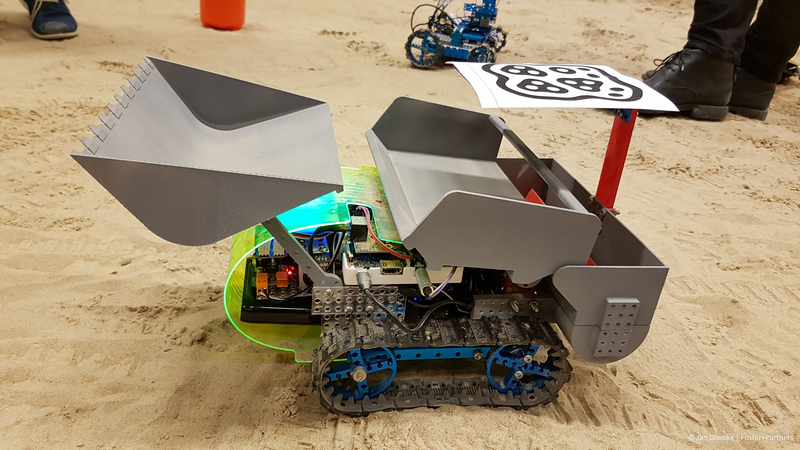 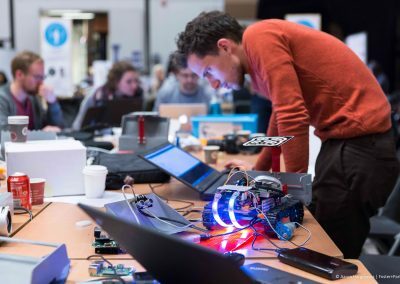 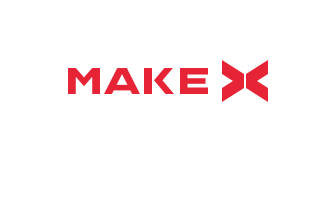 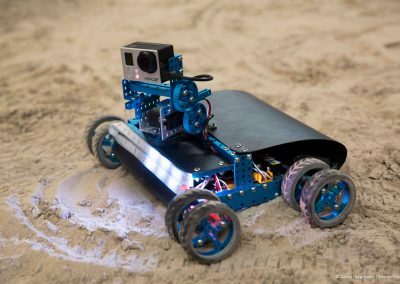 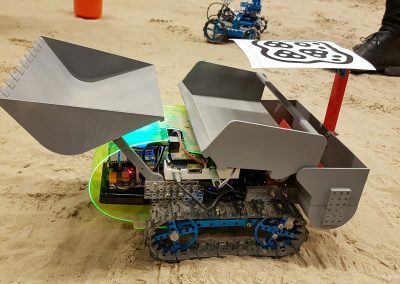 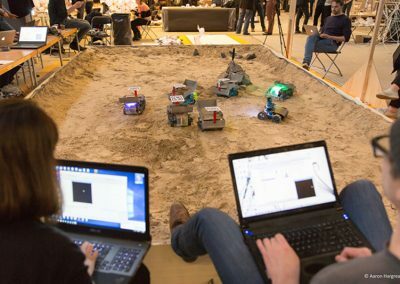 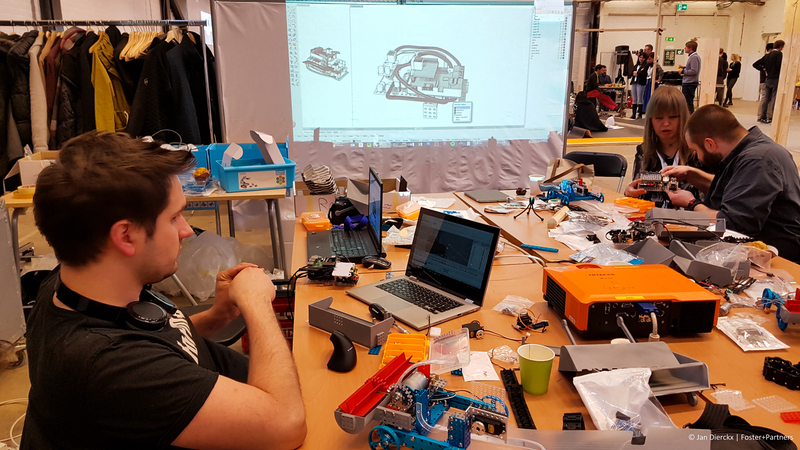 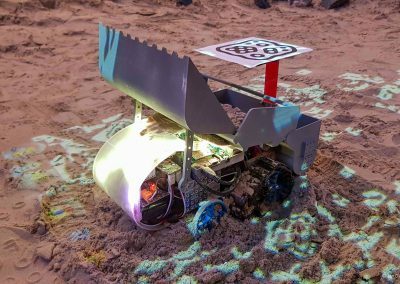 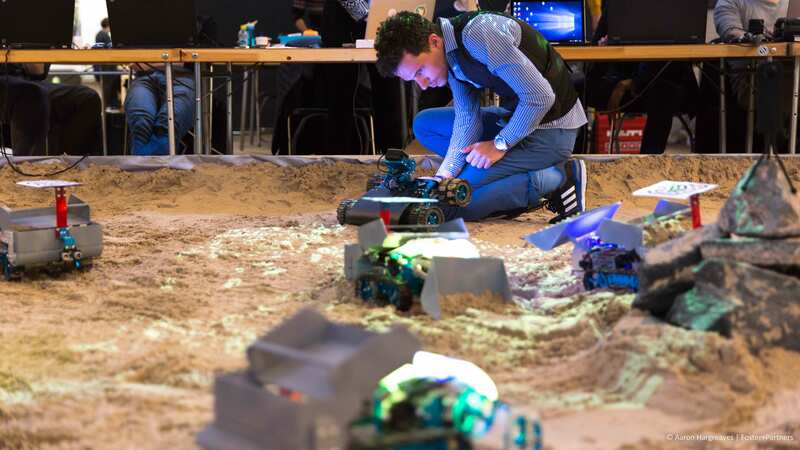 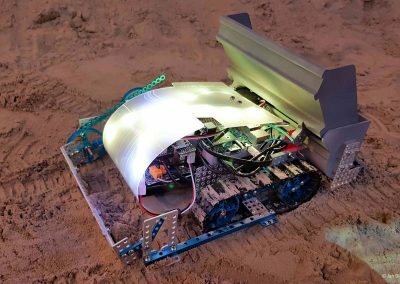 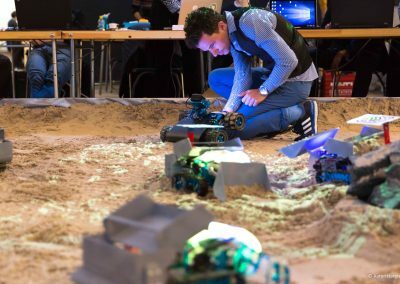 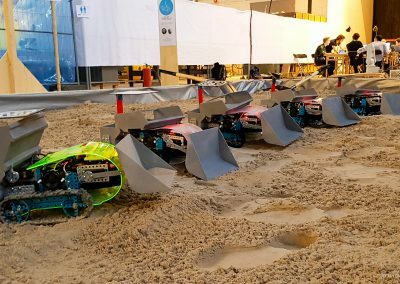 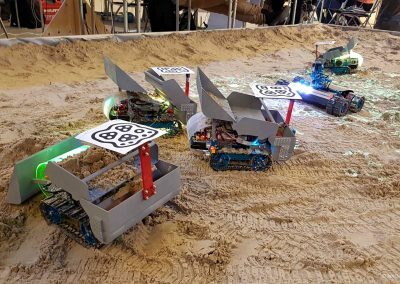 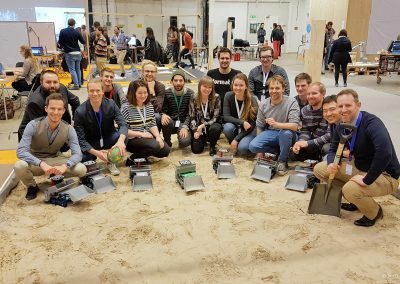 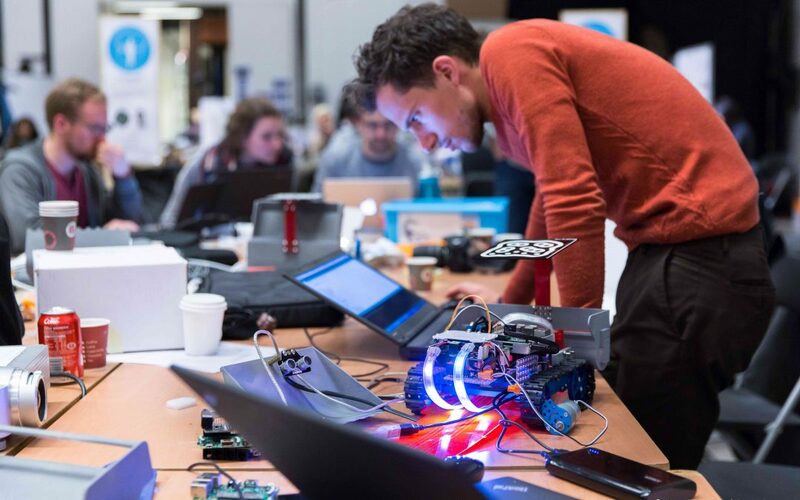 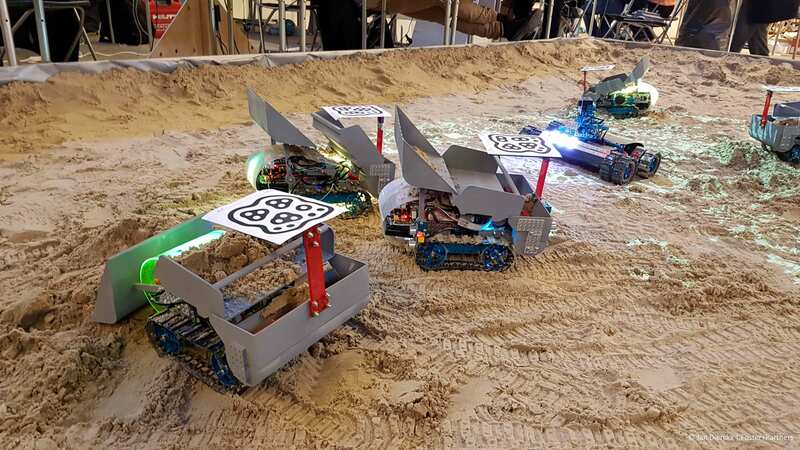 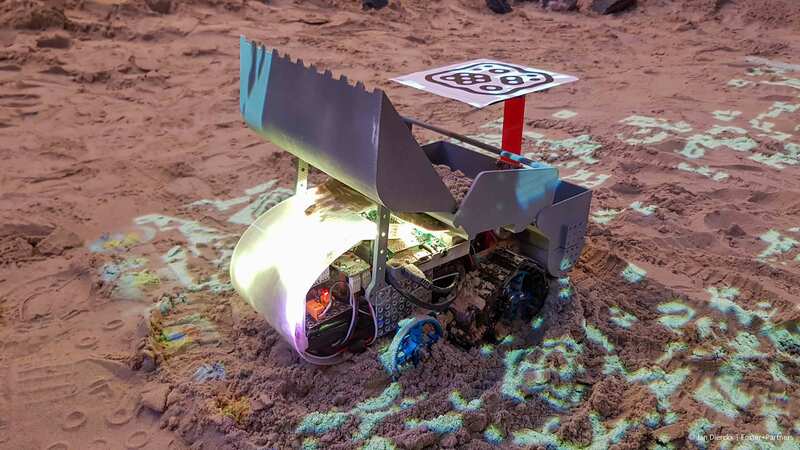 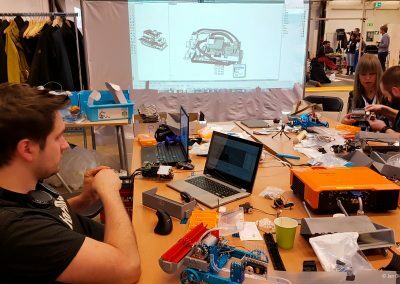 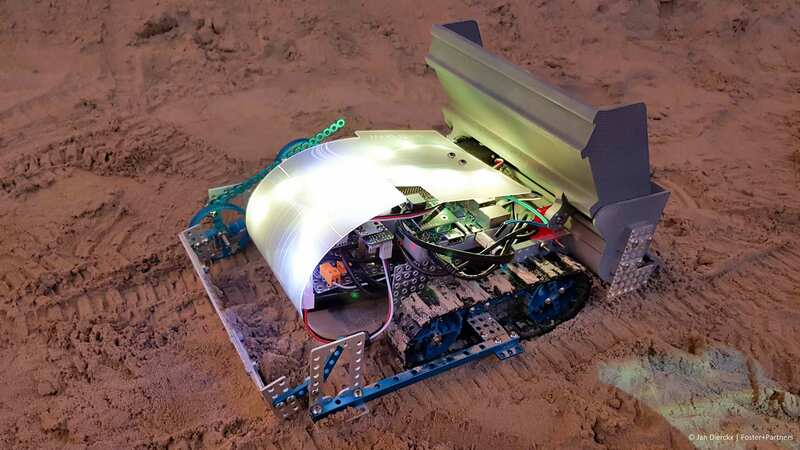 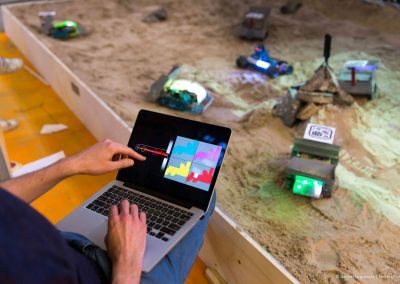 In this project, they used the Mars Rover Cluster (MARS) for construction activities on mock environments of Mars and displayed their project at the Workshop Cluster at Smartgeometry 2016.